Last week SAIDS collaborated and assisted Law Enforcement Authorities in a search and seizure operation for illegal steroids and other scheduled medicines that are used in the manufacturing of dietary / sport supplements. 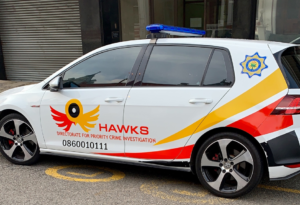 We raided a steroid and dietary supplement ‘laboratory’ and successfully seized close to half a million Rands worth of illegal steroids and supplements. Athletes and consumers’ attention should also be drawn to the unhygienic conditions in which these products are being produced, including the risk of contamination. The gross lack of quality control, borne from the lack of regulation to impose the provision of proof of efficacy and safety of dietary supplements before it’s put on the market, poses a range of health risks for those using it. For competitive athletes, it poses the additional risk of testing positive for prohibited substances. SAIDS appreciates the support of our Law Enforcement Authorities in helping to crackdown on the manufacture of illegal steroids and the trafficking of these substances to athletes, especially schoolboys, who are lured into and pressured into taking anabolic steroids and related products.